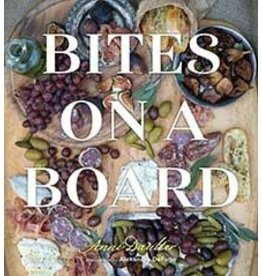 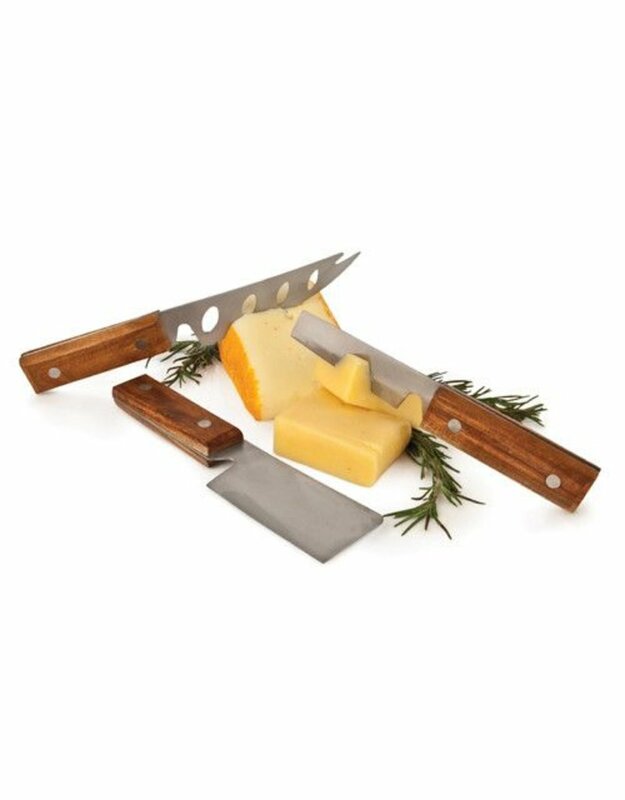 Cheese lovers also love cheese knives. 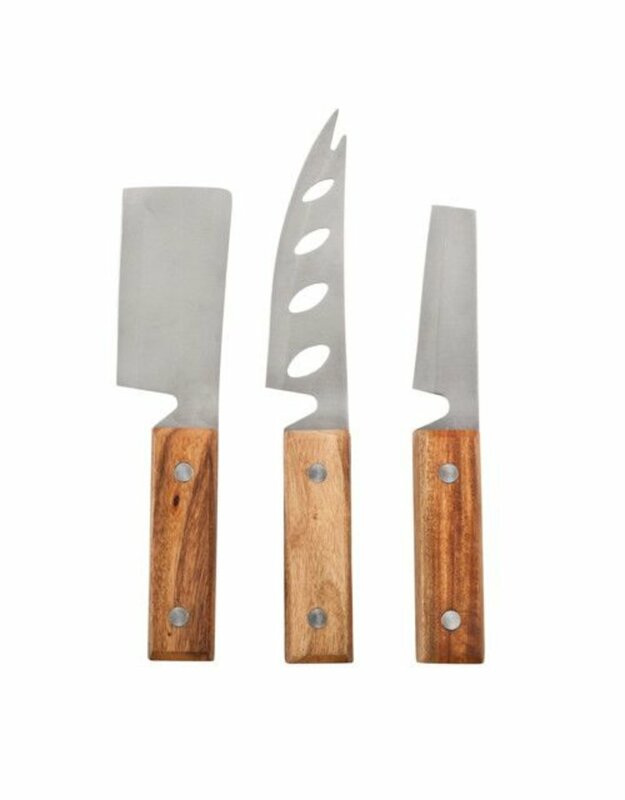 And this set will not disappoint. 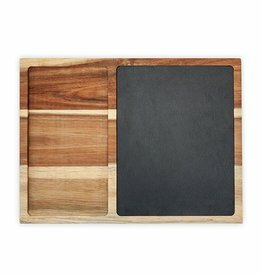 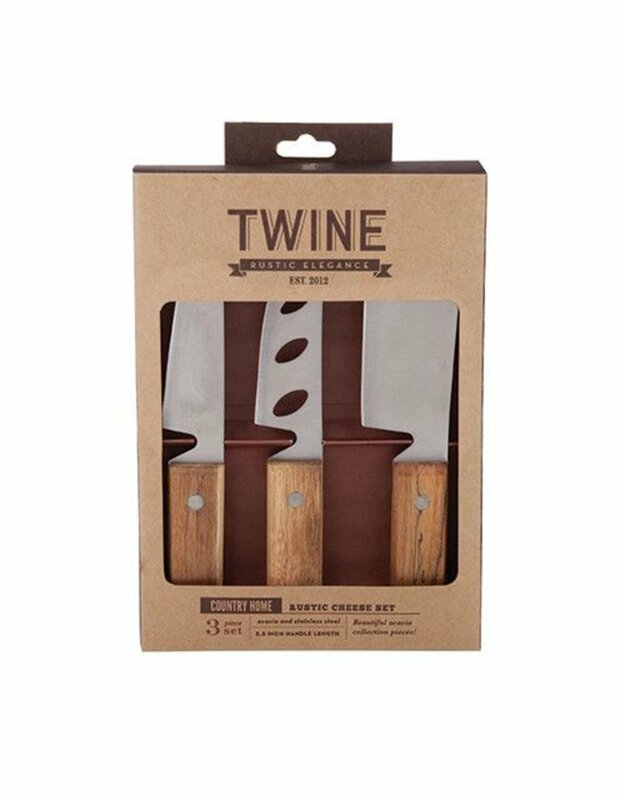 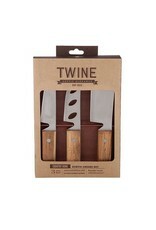 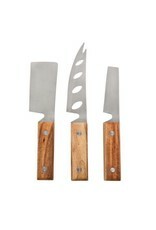 Three knives with acadia wood handles and stainless steel blade ready for any snack task. 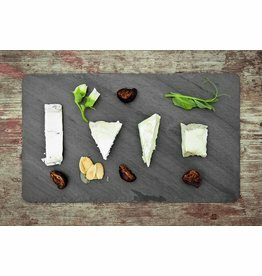 A Chisel to break apart hard crumbly cheeses. A spreader for softer cheese and knife with forked points for slicing and serving meat and cheese.